Bucky Holland Heating & Air is a local family owned and operated business that has served Macon since 1987. The company started out in the HVAC business installing central heating and air in newly constructed and in existing homes. We soon added a service department to further meet our customer�s needs. We strive every single day to �Go above and beyond all expectations to provide the most comfortable customer experience possible.� While we have been around since the late 80�s we have grown tremendously in the past few years as a direct testament to our focus on customer service. As we�ve grown we have expanded our available services. We feel that these services and our commitment to excellence make us unequaled. Today, the company provides a full range of services including Repair and Replacement of units, and just about everything else that involves moving air and keeping you comfortable. Holland also provides a wide range of comfort accessories such as humidifiers, media filters that only need changing once per year, programmable thermostats, and more At Bucky Holland we build customer satisfaction into our work. One way we do this is by installing only the best equipment in our customer’s homes. We are a Comfort Specialist Trane Dealer. Another way you can be assured of our commitment to you is that we are an authorized Georgia Power Good Cents Dealer. Georgia Power reviews the equipment we install to insure that it meets their high standards. We also have a quality control department that follows up on all of our work. Houser Heating & A/C, LLC has been servicing Atlanta and the surrounding areas since 1987. We have built a tradition of excellence by providing quality services at affordable prices. We use flat rate pricing on every project, repair, installation, and maintenance service that we do. You can count on our Atlanta air conditioning and heating contractors to deliver expert services at competitive rates. Buzzell Plumbing, Heating & AC, Inc.
As an established company with over three decades of experience, Buzzell Plumbing, Heating and AC provides full services to meet all plumbing, heating and cooling needs for both residential and commercial clients. 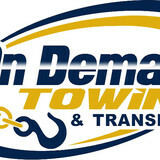 We have proudly been serving the Middle Georgia Area since 1974. Our work force is compiled of competent and dedicated people with a low turn-over rate, and our ability to tackle jobs of all sizes makes us one of the most desirable companies in the area. Omega Heating & Air is a locally owned and operated company serving Metro Atlanta Northeast, East, and Southeast. In business since 2002, Omega Heating & Air provides our customers with service you can trust, respect you will appreciate, communication that is prompt and direct until the job is done; and value that is unsurpassed! The best in the business, our technicians are NATE certified and ensure quick, accurate system diagnosis and repair. At AirTekk Comfort Solutions, our goal is to provide our customers with quality and affordable solutions to their heating and cooling needs. We know the importance of a knowledgeable staff and uncompromising service. We offer in-home consultations to suggest improvements and ways that our customers can save money when heating and cooling their homes. We can design a system for any budget! We also service all makes and models of equipment. Our knowledgeable staff can diagnose any issue and provide solutions to get you back up and running. The majority of power consumption in today's homes come from the heating and cooling equipment. So call us today and let us tune up your current unit or install a high efficiency system. Our excellent reputation and long list of satisfied clients attest to our superior craftsmanship, attention to detail, clear communication, honesty and integrity. Just ask for our client reference list. Let's discuss solutions! Your free consultation is just a phone call away. Since 1970, our Monroe air conditioning company has provided a wide range of quality residential and commercial heating, air conditioning, and refrigeration services. Whether you need routine maintenance, an installation, or in-depth repairs, our HVAC experts will always be ready and eager to tackle the job. We'll be able to troubleshoot and repair any problems that you encounter with your equipment quickly and accurately, and we'll always guarantee your complete satisfaction with all of the work that we provide. Gregg Cowan Heating & Air Inc. Here at Gregg Cowan Heating & Air Inc., we offer the best possible heating and cooling services around the Covington GA area. We use the best products available. With us, you have peace of mind with the best service around! Call us today to discover why we're one of the area's best heating and cooling contractors in the GA area!. Over 30 years of HVAC experience has shown us how to help customers get what they need for their homes to maximize comfort levels and desired performance. Since 1967, Air Conditioning Specialist has been serving local home and business owners with outstanding heating and air conditioning services in Milledgeville, Covington, and beyond. Whether you need AC repairs, heating system replacement, new thermostat installation, or even air duct cleaning, their team is ready to get the job done right the first time. They rely on state-of-the-art tools and advanced, top-of-the-line technology in order to provide you with superior services, every time. Most of all, they understand the importance of great customer service, which is why they always respond to every call within two hours. You can trust their highly trained technicians to provide you with honest advice and professional recommendations, no matter your heating or cooling issue. When it comes to your Milledgeville air conditioning or heating service, Air Conditioning Specialist makes it easier than ever. They proudly offer a number of financing options in addition to their low, flat-rate pricing and free, upfront quotes. Plus, when you become a maintenance plan member, you’ll receive additional discounts, priority scheduling, and other benefits. Need heating or cooling services in Milledgeville, Covington, or throughout the surrounding areas? Contact Air Conditioning Specialist today for a free quote! Business Address: 119 Brittany Drive, Perry, Georgia, 31069 If you're looking for heating and cooling services or expertise in Perry, look no further than Gillman Heating and Air. We've been around since 2002, and our staff is knowledgeable and fully trained on a full range of HVAC products, maintenance, technology – you name it. Covington Air Systems, Inc. is a service and repair business for residential and commercial heating and air conditioning systems. We are a second generation company founded in 1980. We emphasize building a partnership with customers through preventative maintenance agreements, fast and reliable service, and the best parts and equipment the industry has to offer. Our service team has a strong background in air conditioning, heating, refrigeration, electrical and controls in all brands. We take pride in employing the highest quality of people in the HVAC industry. We continually train our team to develop and maintain the competitive edge in our marketplace. Our service technicians are fully trained professionals in the heating, air conditioning and refrigeration fields. Each one must have at least two years of experience as an apprentice in service, repair and installation before they are allowed to “solo” on repair work. They must participate in continuing technical education programs. They also regularly attend seminars to learn communication, sales, finance, management and marketing skills. Each technician is N.A.T.E. and E.P.A. certified on all makes and models of equipment to ensure that you receive quality, dependable service. They are drug-free, neat in appearance, mindful of their speech and respectful of your property. They are truly an elite group of whom we are very proud. When our technician arrives at your home for an equipment repair, he will not leave until the problem is fixed and you are 100 percent satisfied. Your family’s comfort is our business. Air Experts GA has been installing and repairing residential and commercial air conditioning and heating systems in towns, cities and countryside in your area for many years. 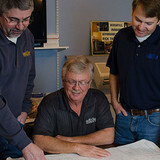 Air Experts in Covington, Georgia, is locally owned and operated. We are hometown born and raised, your friends and neighbors, and we are your experts when it comes to air conditioning and heating services. Owner Billy Cowan has over 20 years experience in the heating and air conditioning industry and he has staffed his company with employees who are knowledgeable and experienced. Mix that with a great customer service attitude and we beat all our competitors in the heating and air business, as evidenced by our A+ rating with the Better Business Bureau and our customer reviews. The main focus of our company is to earn and maintain customer trust by providing them quality services at a fair price. We take pride in our honesty and integrity and stand firm on our principles. All our employees are committed to deliver quality work in time, safety standards and professionalism. We are easy and courteous to work with and always leave your house as clean as it was before our work. Generally, Milledgeville HVAC contractors or HVAC technicians work with or run companies that repair or install heating systems and air conditioning units for homes. But they have specialized services too. For example, if you are a wine collector and you are thinking of installing a wine cellar in your Milledgeville, GA home, you might hire a Georgia HVAC professional who specializes in refrigeration work. HVAC professionals can use their skills to help you to save money on your Milledgeville, GA home’s energy bills by installing radiant barriers in your attic or split-zone heating and cooling systems to heat rooms like solariums while cooling upstairs bedrooms during warmer temperatures. If you or a family member suffers from allergies, you’ll want to find a Georgia HVAC technician who is knowledgeable about the latest cooling and heating products that include antiallergen filters. Contractors who work in the HVAC industry keep up on the latest in heating and air conditioning technology so outdated or troublesome systems can be retrofitted with newer, more energy-efficient models. Some of these professionals may work with your contractor, builder or other home improvement professional to get the job done. Find HVAC contractors on Houzz. Look in the Professionals section of our website and search for Georgia HVAC contractors. Read reviews and see how an HVAC contractor might approach your Milledgeville, GA home’s heating and cooling challenges.